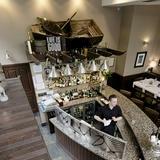 Fishers In The City do a fantastic choice of fish and seafood dishes to enjoy with a great selection of wines. 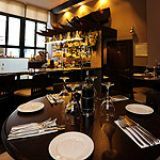 "A spacious and stylish space in the centre of Edinburgh - the epitome of a classic city centre eatery. Fishers in the City is set in an old converted warehouse on Thistle Street. The contemporary surroundings offer the perfect venue for a casual lunch or intimate night out. A firm favourite with locals and visitors to the city for over 10 years." We so simple cocktails, martinis, manhattans, cosmos etc. What did you think of Fishers In The City? The seafood here was sensational! 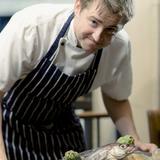 When posed with the question: what is the best place to eat seafood in Edinburgh? Fisher’s is one of the first names that comes to mind. 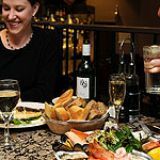 Conveniently there are two Fisher’s in Edinburgh and one whiff of the scrumptious food created here is enough to make you walk miles to taste it. Situated just a couple of minutes' walk from the busy Princes Street, Fisher’s in the City is located on the quiet, cobble-stoned road of Thistle Street Lane. It has great large windows at the front, which allow you to get a glimpse of this enticing looking restaurant. As soon as you step into Fisher’s in the City you get a massive waft of all kinds of smells that tease your nose and start to get your taste buds jumping around in search of the source. The layout of the restaurant has been cleverly thought out. When you walk in you are immediately in the bar area. There’s a stylish marble top counter and several high stools and tables for customers wishing to have a drink and maybe a small bite to eat. If you wish to have a proper sit down meal, you are shown up several steps leading to the seating areas. The first thing you notice is a marvellous fish tank that stretches around the corner at the back, beside the windows. Wherever you sit you will be able to watch the chefs’ cooking in the open kitchen. There is also a back section which sits around another 40 people, but to really get the full experience of Fisher’s, try and request a table in the front section. 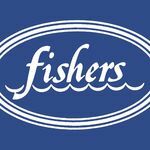 Fisher’s is usually regarded as a high end restaurant due to the quality of food and the prices, but no matter if you walk in with a Prada handbag or an Eastpak rucksack, you will be made to feel welcome by the friendly and polite staff. The warm lighting and jazzy music sets the tone, allowing you to relax at your table. You really are spoilt for choice at Fisher's - the food is delightful. To start you can choose from steamed mussels (£5.75) with a choice of two sauces. The white wine and garlic sauce is mouth watering. You can really taste all the flavours of the sauce and, most importantly, the fresh mussels, but if you’re out on a date, you might want to avoid as the garlic is quite intense. Alternatively, you could opt for the crispy on the outside yet fluffy on the inside salmon and haddock fish cakes (£5.60), or for something a little adventurous, the smoked eel nigiri sushi (£6.50). For the mains, you can't really go wrong with their lemon and asparagus risotto (12.95). The lemon flavour is not too overpowering and it simply compliments the incredibly smooth and creamy texture of the rice. If you really want to treat yourself, go for the lobster (£25.00). It is magnificently presented on a high standing plate and the white wine and butter sauce will leave you licking the plate. For people craving meat, try the wonderfully flavoured beef strips (£15.95) that are marinated with chilli, garlic and coriander. If you can, try and leave some room for their exquisite homemade desserts. The lemon sorbet (£4.95) goes down a treat, but the sticky toffee pudding (£5.50) is really something. The combination of sponge and toffee sauce is enough to make you want more, even if you’re completely full. The drinks menu has been carefully selected in order to compliment the food. The knowledgeable staff are happy to advise on the best wine to order with your meal. Their house wines (£12.95) are very respectable and go easy on your pocket, but the Sancere (£23.95) for white and the Kilikanoon Estate Cabernet Sauvignon (£28.50) for red, will please more complex palates. Fisher's could quite easily be renamed Seafood Heaven as the food is really quite out of this world and a trip here really makes you forget the outside world.